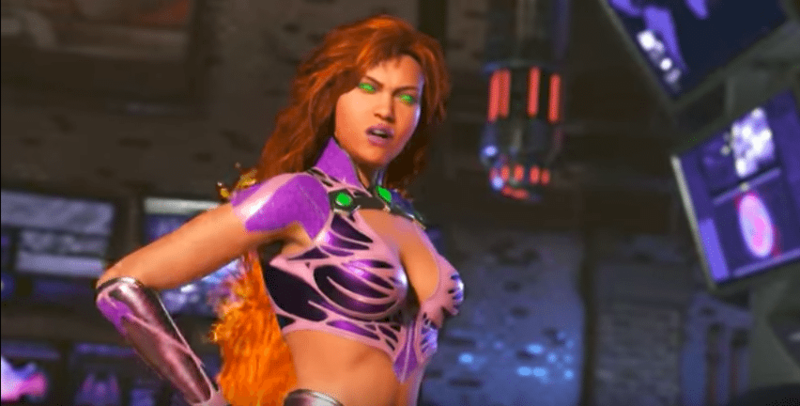 Starfire officially joins the roster of DC characters appearing in Netherrealms Studios’ Injustice 2! Here’s what the official Injustice 2 YouTube channel had to say about fiery alien heroine. As the next Queen of Tamaran, Princess Koriand’r found herself the victim of her fratricidal sister’s vengeful plot that resulted in their planet being conquered. Now a royal exile on Earth, Koriand’r uses her ability to absorb and convert ultraviolet energy as Starfire. I swear this new batch of characters for Injustice 2 looks insane. We’ve already seen Red Hood and Sub Zero and now her. Throw in Speedy aka Arsenal aka Roy Harper and we definitely have the IJ2 version of Red Hood and the Outlaws. Injustice 2 is out already for the Playstation 4 and Xbox One! PRESS RELEASE: Galaxy Battles Is Back!